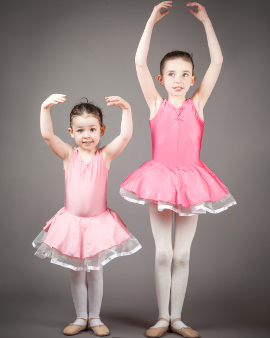 More than one budding dancer in your family? We offer a 10% discount for siblings attending the school. Have you heard about our adult beginner ballet classes? Are you looking for a class designed with your child's development in mind? Do you want a school where your child feels included, involved and important? Here at the Catherine Casey School of Dance the central ethos of the school is inclusion and great care is taken to ensure that each and every student gets the most value from their time with us. Age-specific classes designed to help each child reach their individual potential. Annual Christmas class demonstrations so you can see your child's progress. School photo shoots with a professional photographer. Locally accessible classes with lively, engaged teachers who are there for your child. 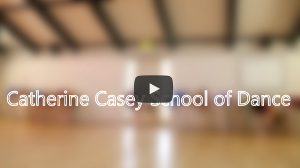 In the Catherine Casey school of dance your child will learn not only to dance, but how to make new friendships, to work as a team, and above all to believe in themselves. We strive to foster a sense of caring and family in the school so that the sudents support, uplift and care for eachother. This ethos of caring is carried over into the community. This community awareness can be seen in our charitable contributions to Crumlin Childrens hospital, funded by our biennial shows. This has been the case since the inception of the school in 2005 and is something the staff and students alike are immensely proud of. We believe that each child should know that they can have a positive and meaningful impact on their world. What better way to empower your child than to show them that they can be a change for good while doing something that they enjoy. We would love for your child to be a part of our family and would be delighted to share our love of dance and community with them. Our teaching team consist of myself, Miss Lee, Miss Karen, Miss Caoimhe, Miss Sharon and Miss Veronica. We are also lucky to have the extraordinarily talented Maggie Moore in charge of our vast costume department.